Local bar associations administer 11 referral services, operating in Florida’s major cities. 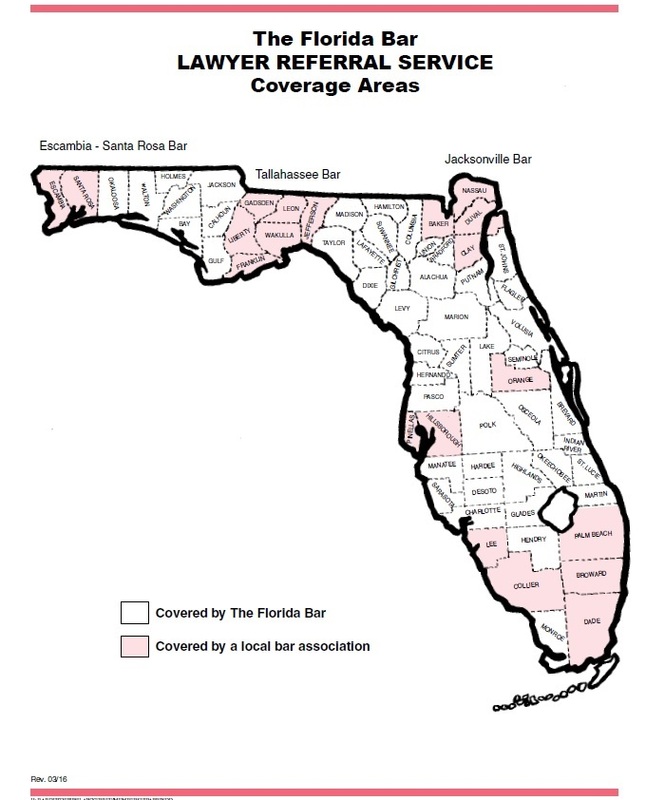 The Florida Bar handles all other referrals from areas without a local service. 216 South Tarragona Street, Suite B.